Susaye Greene began her professional career at age 12. As a teenager Susaye attended The New York City High School of Performing Arts, and appeared in various commercials. Prior to joining The Supremes, Greene sang with Ray Charles' Raelettes and Stevie Wonder's Wonderlove. In 1973 she sang lead as a guest vocalist on The New Birth's hit "Until It's Time for You to Go." A successful singer and songwriter as well, Greene has written hit records for Michael Jackson, Deniece Williams, and many others. Susaye Greene joined The Supremes in 1976, (replacing Cindy Birdsong), and performed on their last two albums, "High Energy" and "Mary, Scherrie & Susaye." Singing alongside original member Mary Wilson and Scherrie Payne, Susaye quickly found her niche in the group and among the group's fans. Susaye took lead on "He Ain't Heavy, He's My Brother," in the group's live shows, which never failed to earn a standing ovation, and recorded "High Energy", the title song from the 1976 "High Energy" album. On June 12, 1977, the Supremes performed their final farewell performance at the Drury Lane Theater in London and the trio officially disbanded. In 1979, two years after The Supremes disbanded, Susaye and sister Supreme Scherrie Payne recorded a duo album on Motown Records titled "Partners" The critically acclaimed album was written and produced by the duo and featured the single "Leaving Me Was The Best Thing You've Ever Done." Susaye sang lead on jazz saxophonist Courtney Pine's 1986 single "Children of the Ghetto". She recorded with Ian Levine's Motorcity label, based in the United Kingdom, in 1989. She released two solo singles on Motorcity – "Stop, I Need You Now" (1990) and her own version of Deniece Williams' hit "Free" (1991, which she co-wrote). At Motorcity, she also recorded the duet "It's Impossible" with Billy Eckstine. 2002 as an exciting year for Susaye as she released her first solo album titled "No Fear Here." Two singles and a video were released. Susaye Greene penned most of the album herself. Ms. Greene released her second solo album, "Brave New Shoes" in 2005, which included her remake of The Supremes' classic "High Energy." In 2014 Motown records reissued Scherrie and Susaye's 1979 "Partners" album on CD. This digitally remastered release inspired the Ladies to revive the music from their duo album and on July 5, 2014, Ms. Greene, along with Scherrie Payne performed at the Sheraton Ballroom in Los Angeles, CA. The following year the duo performed at Sheila E's E Spot in Sherman Oaks, CA. 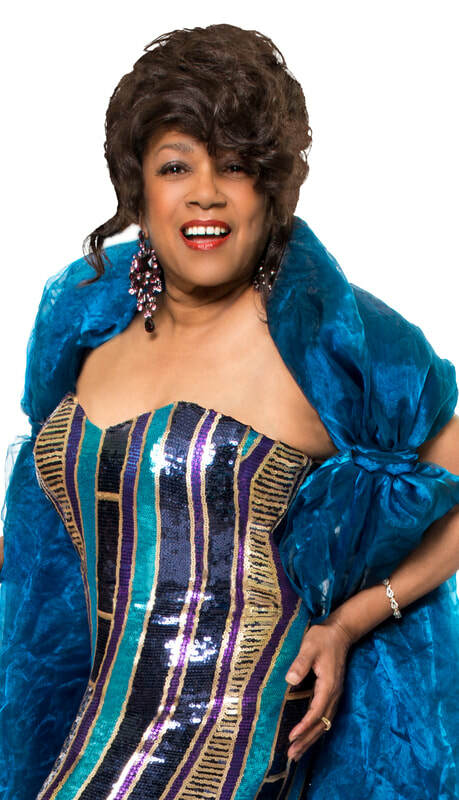 In the Summer of 2017 Scherrie Payne called upon Susaye Greene to sing alongside her and Joyce Vincent in the Former Supremes trio. Susaye excitedly accepted the offer and the trio hasn’t miss a beat! Photo shoots and rehearsals instantly took place and the new lineup emerged to much fanfare. It's noteworthy to point out that the current lineup of Scherrie Payne, Susaye Greene and Joyce Vincent were to be the 1977 lineup of Supremes. However, plans changed and Motown chose to disband The Supremes, and the lineup never got a chance to perform together......Until Now! Scherrie Payne, Susaye Greene and Joyce Vincent continue to perform all over the world with live performances, TV appearances and new exciting recordings. Scherrie and Susaye are proud of their Supreme history, and continue to present this legendary music to audiences all over the world as......Scherrie Payne & Susaye Greene, Formerly of The Supremes!